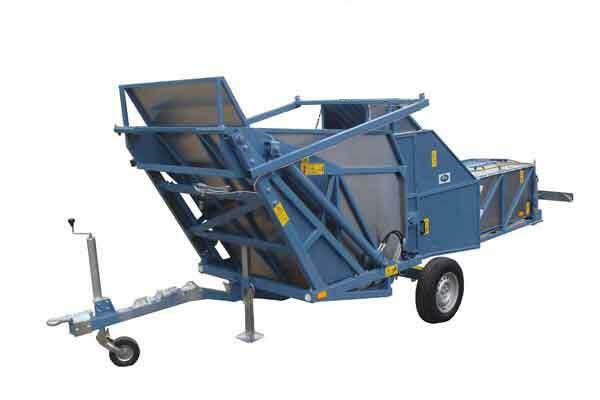 Machine NB2005 V is equipped with devices that feed harvested and mowed herbs into the loading basket, that is an integral part of the machine. 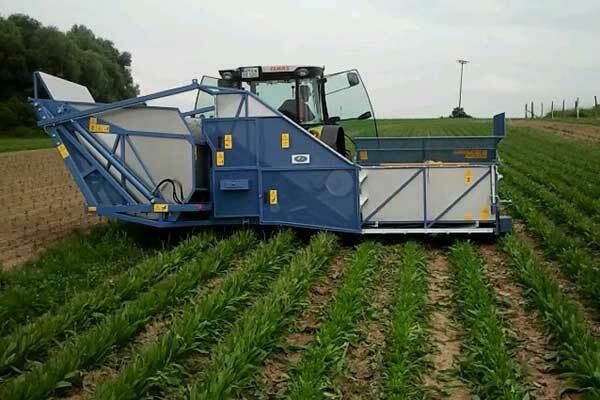 Machine can be ordered with 3 different adapters which allow you to use the same machine for chamomile harvest, lief mint harvest and herb mowing. 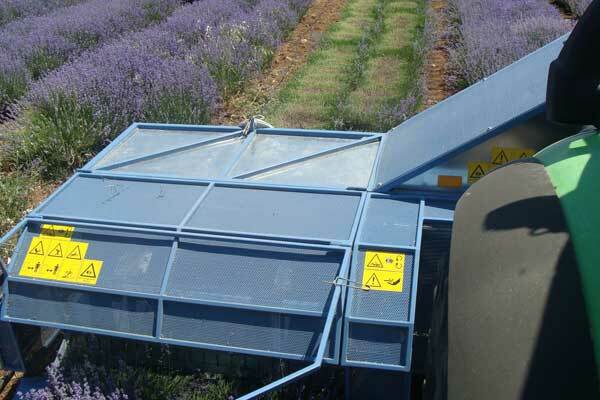 A variety of herbs can be mowed and harvested with this machine, which makes it different by its functionality in comparison to other machines, that can be found on the market. The price of this machine is acceptable. The following characteristics make this machine profitable: high grade of functionality, low price, good operational characteristics, high efficiency, high quality production. Qualitative materials, coated with zinc and painted sheet plates, simple construction and easy maintenance are the guarantee for a long duration. 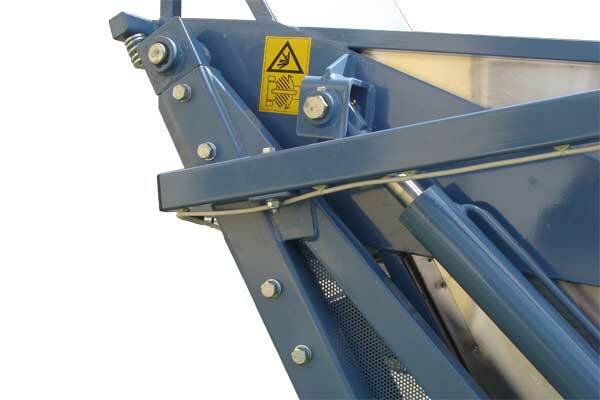 NB2005 V is attached to the tractor and carried by tractors hydraulic bars. It has its belt conveyor and hopper. Hopper is unloaded by hydro-cylinders. 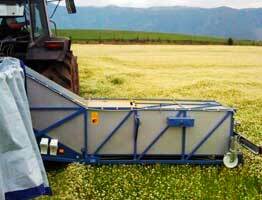 Harvest height can be set through tractors mechanism. It also has hydraulic unit for angle adjustment helpful in the cases when field is not flat. It is ideal at the fields where maneuvering is hard. One man driving a tractor can serve this machine. Machine does not ruin the field since it is carried and just tractor wheels lay on the field. 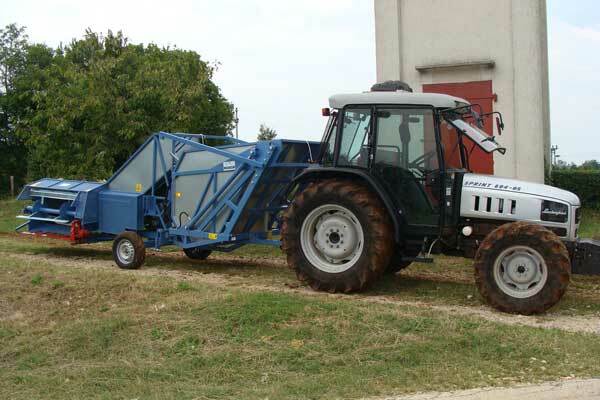 The Harvester-Mower NB 2005 V can be easily transformed from the operational into transportation position and vice versa. While in transportation function it is pulled by tractor. 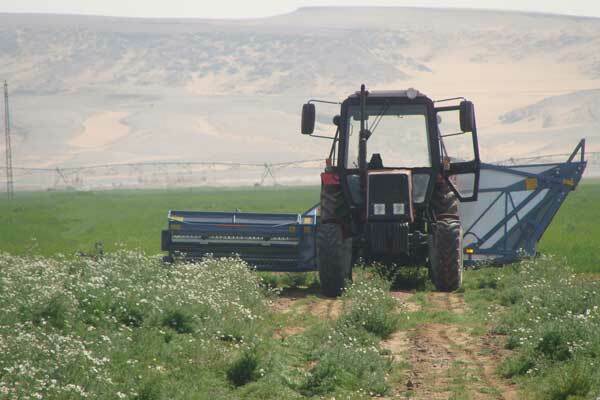 This additionally increases its efficiency when it is necessary to work on distant fields in the same day. 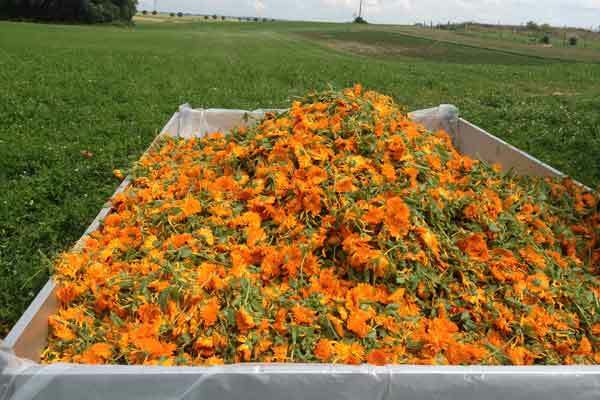 With adapters for chamomile harvesting and thanks to possibility of continual height regulation and angle of the machine which can be adapted to the terrain, the chamomile flower is mowed with great precision and high quality. 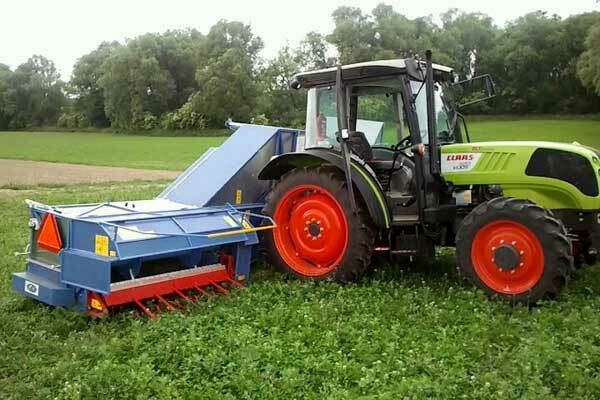 The adapter for herbs mowing consists of double cut scythe, giving a clear cut without smashing the stalk, which is important for herbs that require several harvests per year. Beside the scythe the machine is equipped with devices that load the harvested herbs on the transporting conveyor and mechanism that prevents the conveyor of blocking and improves transporting of herbs to the feeding basket. Adapter for lifting herbs is constructed to adapt easily to all sorts of herbs, with various distance between the rows. Adapter lifts the ends of the herb which lays down and brings it into the zone of cutting. Mowed herb is transported by means of swirling device on the belt conveyor by which the herb is loaded into the basket. 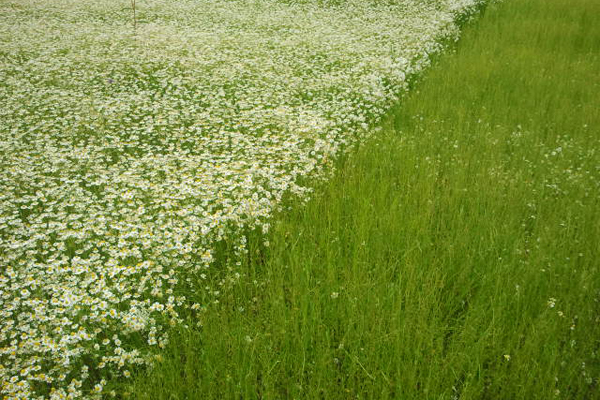 Possibility of continual regulation of mowing height and mowing angle is an important characteristic for good efficiency and high quality of mowing.